The first snow of the year arrived on Halloween afternoon this year. I caught it blowing past my window as I worked in my office. Not wanting to believe it, I stared out the window for a minute, trying to wish it away. Defeat conceded, my mind jumped from resignation to panic as I contemplated the implications of the coming winter. Due to my gait, a slippery surface of any kind is almost always unnavigable. Snow, ice, sleet, rain, rain that turns into ice – any of these elements on any surface makes walking extremely dangerous. In a cruel irony, the treatments (salt, sand and gravel) that well-intentioned people use to deal with winter precipitation are often just as dangerous. Even worse, they stay behind much longer than the precipitation. After a few rounds of snow and the ensuing treatments, I feel like I’m trying to walk across a shuffleboard table, desperately trying to reach spring. As the snow and winter treatments pile up, my world shrinks. I miss days at the gym, church and lunches. I hesitate when friends invite me over. I quit planning things, because I don’t want to be disappointed when the weather keeps me from them. In particularly bad winters, I might as well be under house arrest. At this time of year, I know that snow will soon negatively affect my lifestyle, and that’s what makes each day before the first snow a valuable gift that I cannot squander. Never do I appreciate good weather days more than in the winter. We all do this – maybe not with winter weather – but we all suddenly become more appreciative and mindful of our gifts, when something threatens them. We learn that a loved one has a terminal disease, and we scramble to make up for lost time and lost opportunities. Our children near the end of their time with us, and we finally prioritize family time. Our bodies start to fail us, and we become interested in diet and exercise. Why do we do this? Each day and each experience is a gift, and those gifts shouldn’t have to be threatened for us to appreciate them, but that’s what we often insist on doing. Imagine if we lived every day and seized every experience with the urgency and appreciation that we feel when the end nears. I spent this last weekend deer hunting with my dad. Though every deer season since 2003 has found me in the field, I had planned to skip this year. My son left for college this summer, and it didn’t seem worth the hassle to hunt without him. I could spend the weekend lounging around my warm home and catching up on projects, instead of driving for hours and subjecting myself to the cold. All of my lame excuses almost won, but one thing changed my mind: how many deer seasons do I have left? By the time my son graduates, I’ll be over 50, and my dad will be a few years past 70. Things typically don’t get any easier physically when you pass those milestones, and none of those years are guaranteed. That realization was like the snow blowing by my window, awakening my appreciation of what I can do now and prompting me to act. My reward was a trophy buck and an incredible experience. 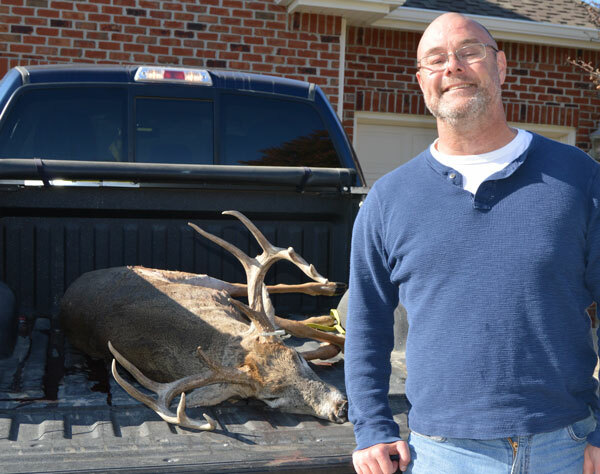 Though I’ve taken nice deer before, since I didn’t start big game hunting until my 30s and my dad isn’t a big game hunter, I had never taken a deer with my dad. It was an experience I almost missed and probably would have missed had the prospect of impending snow not awakened me. I pray that God will give me a few more days or even weeks before the first substantial snow, and I plan to do my part by enjoying all of them. The bigger challenge is to sustain this attitude when spring arrives, and the next winter seems so far off. Think about and appreciate your life’s gifts. Don’t wait for the snow to rattle you awake. My kids have never skied. Because their dad gets around on the snow and ice about as well as a three-legged giraffe, we look for warmer climates for winter outings. The ironic thing is that I have skied. In fact, I went several times as a kid when my body was much smaller and more limber. I loved flying down the slopes, feeling the cold air and warm sun on my face. Though it’s been more than 30 years, I can still vividly remember racing my dad down the slopes of Summit County, Colorado, and beating him. Recent Facebook pictures and videos of my friends and their kids on ski trips have brought those memories back. It is frustrating to realize that I’ll never share the same memories with my kids, but I’m not jealous. I’m happy for people who are able to do things like this, and, at the same time, thankful for all that I can do. Life has taught me that, if we get caught up wishing for things that are out of our reach, we become blinded to the blessings around us. My always-appreciative grandfather embodied that attitude. Growing up during the Great Depression without his mother who died when he was four years old, my grandfather was on his own by age 14, stowing away on trains and getting by as a migrant farm worker in the beet fields of Western Nebraska. That harsh existence made him appreciative of the simplest things in life that most of us take for granted. Roast beef was his favorite meal, and he never used credit, even to buy a house. He was never a wealthy man, but what he had, he loved and appreciated. My grandfather found something good in almost anything and anyone, because he knew what it was like to have nothing and no one. Sometimes, we need to experience the discomfort of limitation in order to benefit from the comfort that appreciation provides. Recently, a good friend went on a hunt I’ve dreamed about – to New Zealand to hunt red stag. He invited me to go, but my wife and I have a lot of expenses coming up with the house and kids, so I didn’t want to spend the money on something that would benefit only me, though I absolutely have done that before. On the day before he left, I started to send him a message that began with “I’m jealous.” It’s a cliché that many of us use when we see someone with something we want. We use that phrase without even thinking of what it implies – that someone else is experiencing joy that we feel somehow entitled to, and we’re not happy about it. When we say “I’m jealous,” we’re making it about us and our own frustrations, even if we don’t intend it that way. Yes, I do want to hunt red stag in New Zealand, but the fact that I wasn’t going on this trip shouldn’t create the negative emotion of jealousy. In fact, it should be just the opposite. I should be happy for him, because I know how much the trip means to him, and I know that he would be happy for me if the roles were reversed. Jealousy has no place in that equation. I thought of those things as I used the backspace key to correct my message. 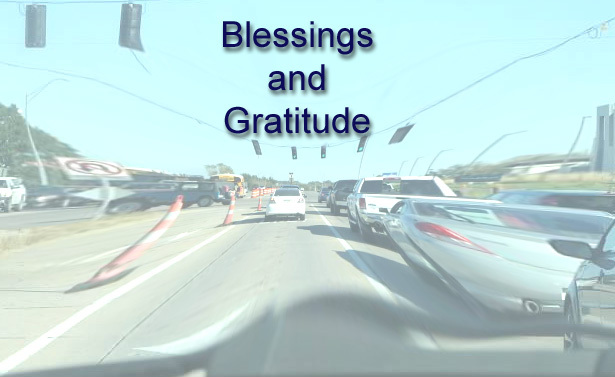 Mostly though, I thought about all of the blessings in my own life and how jealousy unfairly minimizes their value. I’m not perfect, but I try never to say, “I’m jealous.” If I’m fortunate enough to catch the words before they spill out of my mouth, I use the occasion to count my blessings. I even count my limitations as blessings, because they shine a spotlight on all that I have and all that I can do.